Last Tuesday, 12 year six pupils visited Cambourne Village College for an art workshop. We had previously worked with clay slabs to make ceramic poppies in preparation for our Remembrance Service so were ready to develop our skills further. 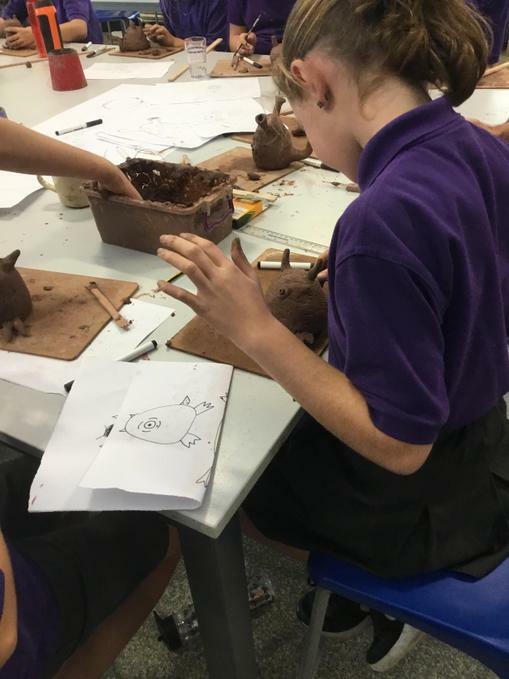 Mr Yeates taught us how to make pinch pots, join them to make a hollow egg shape and then use a range of clay tools to turn our shapes into amazing aliens. We can’t wait to collect our fired models and glaze them.